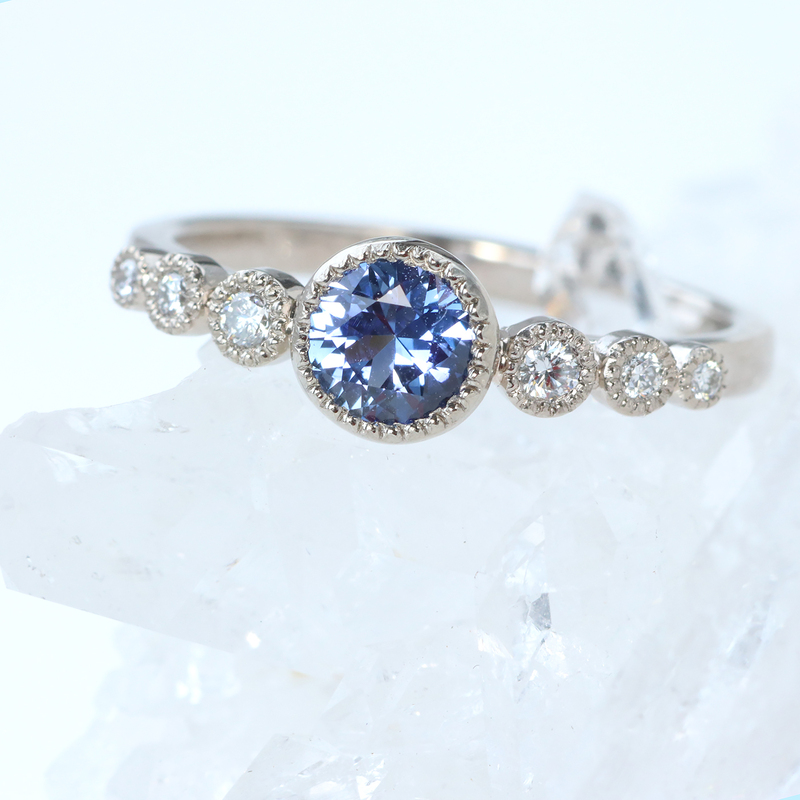 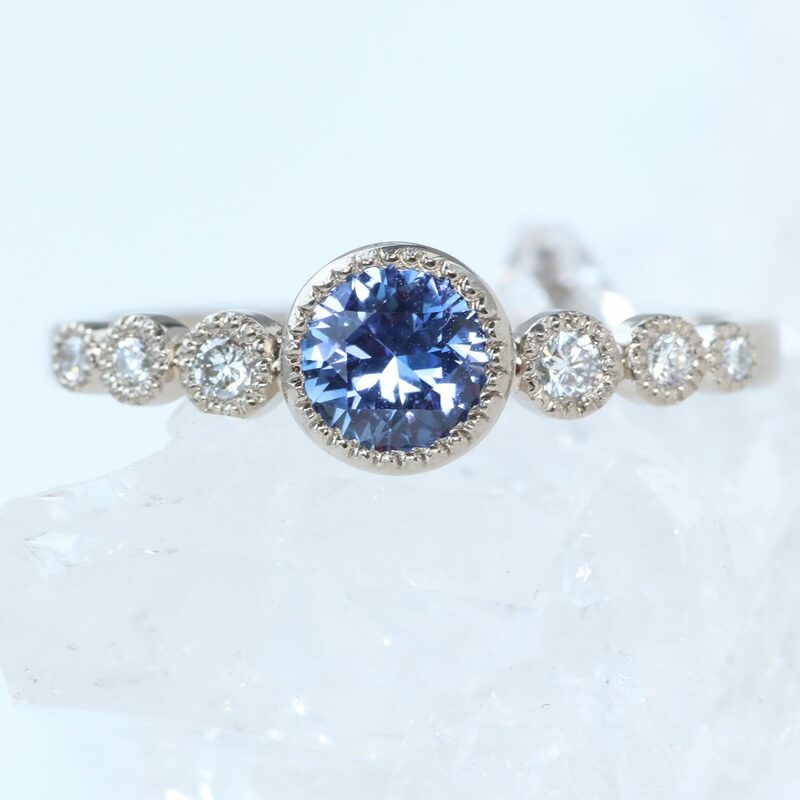 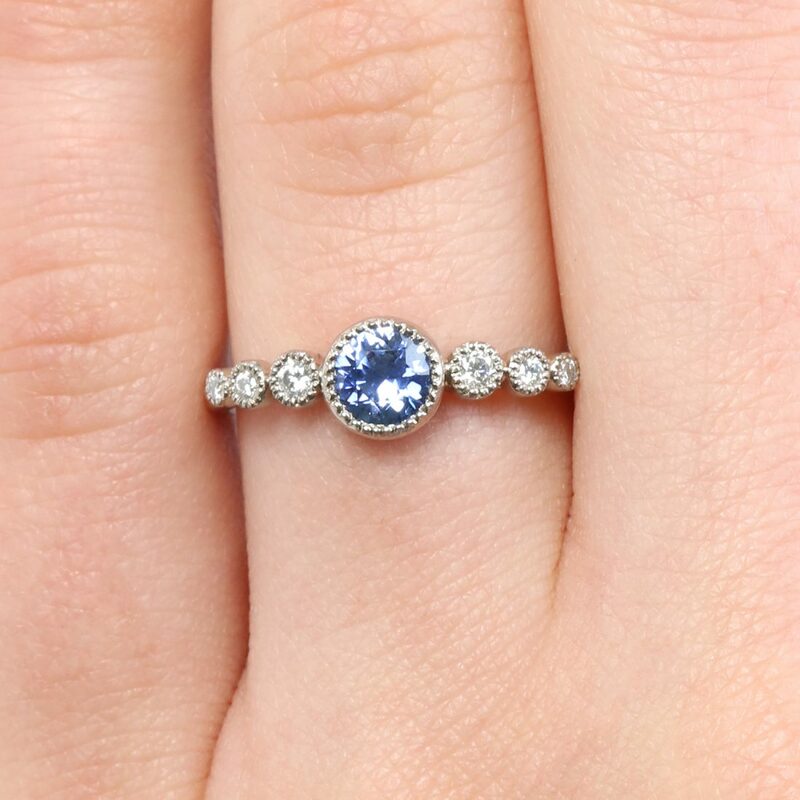 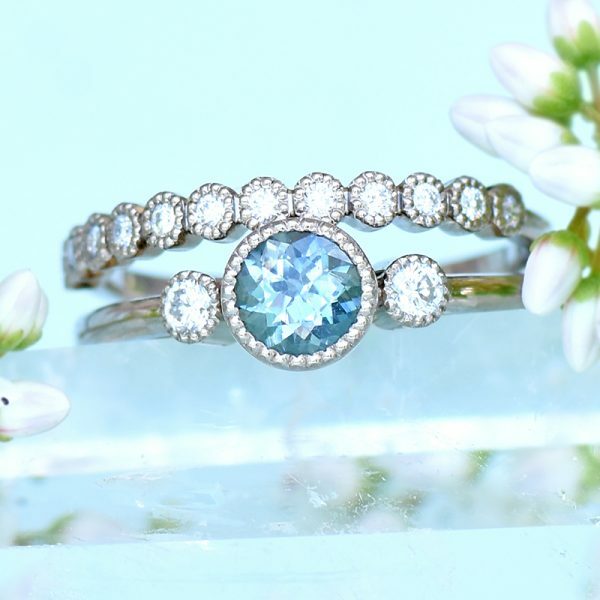 This beautiful engagement ring showcases a bright blue sapphire, flanked by graduated fair trade Canadian diamonds. 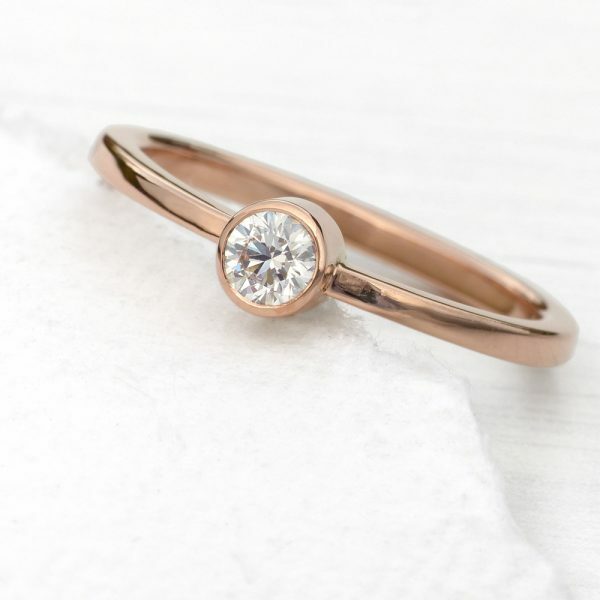 Only four rings will ever be made – choose to have a ring made to size, with a choice of 18ct white, rose or yellow gold or platinum. 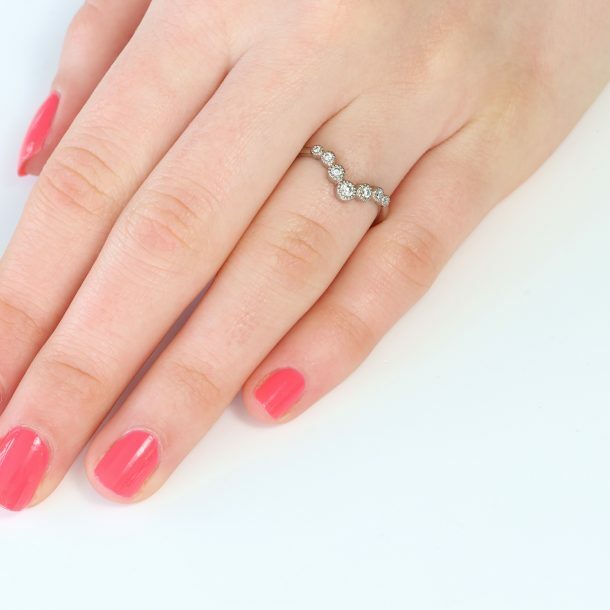 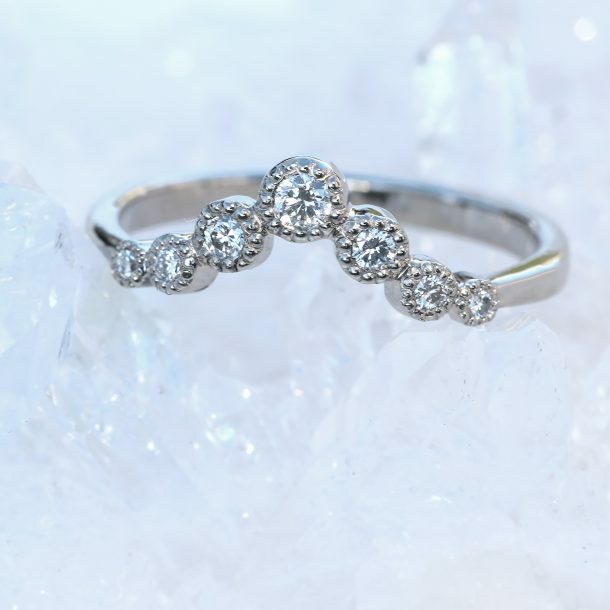 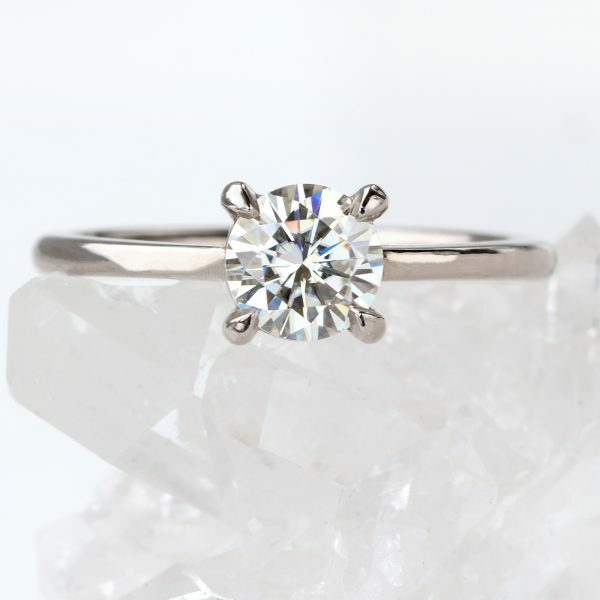 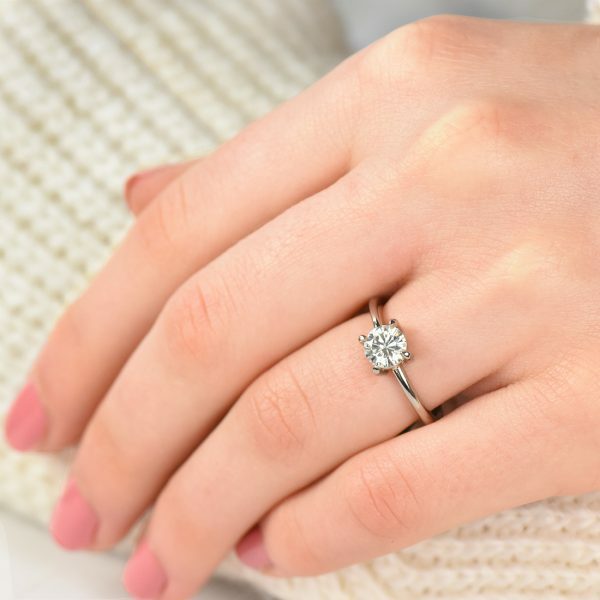 A ready to wear ring is also available in white gold for immediate dispatch in size N (UK), 6 3/4 (US), 53.8mm (EU), with free next-day delivery worldwide. 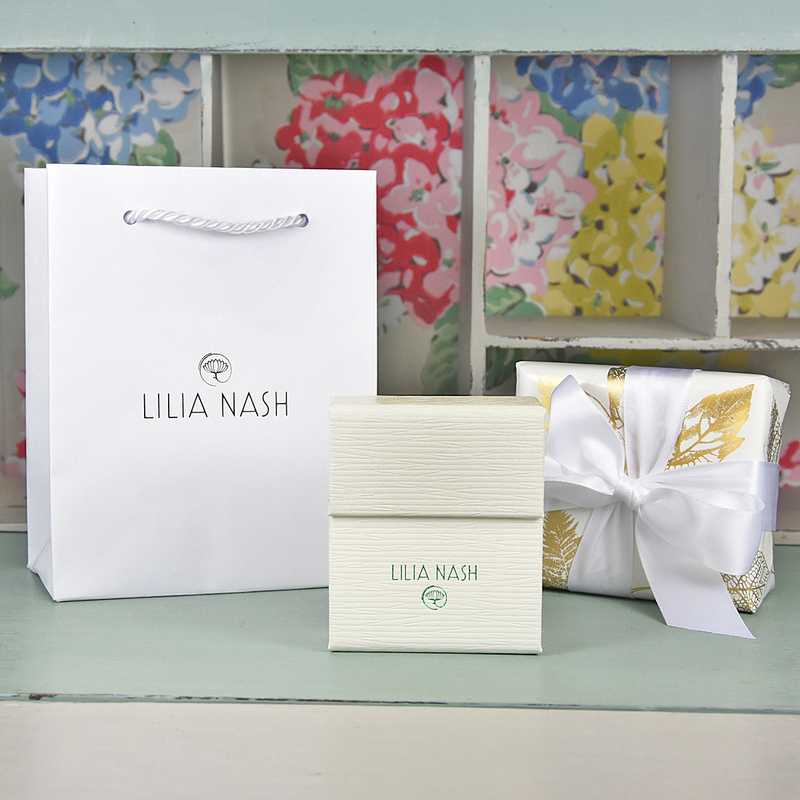 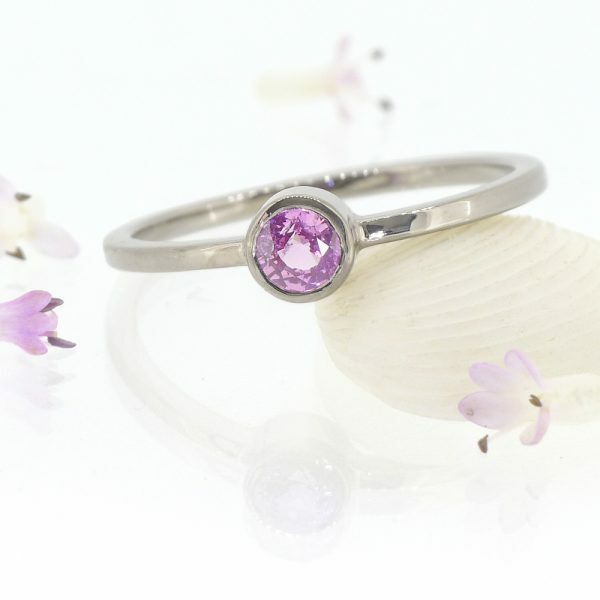 All other sizes are made to order, with an estimated shipping time of 6-8 weeks. 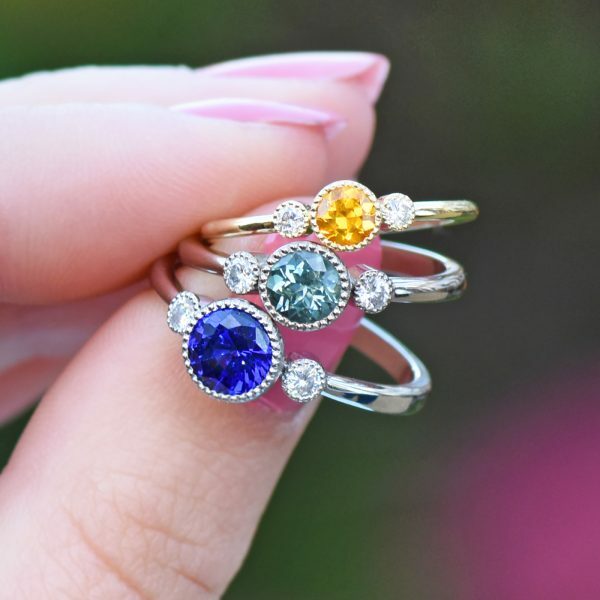 Only four blue sapphire rings will ever be made. 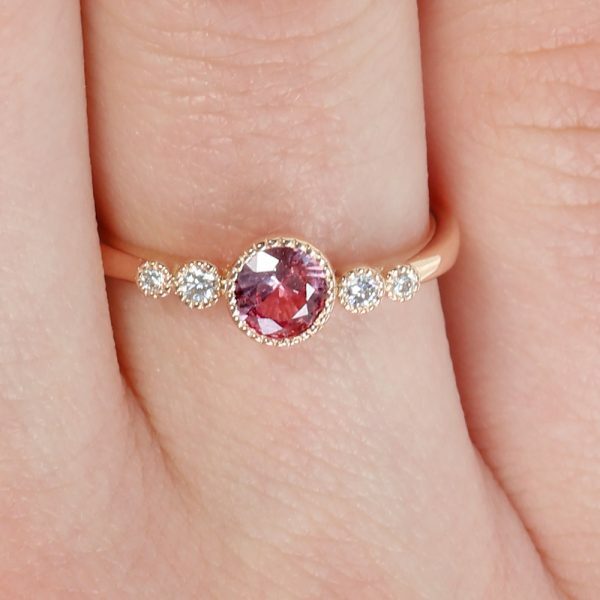 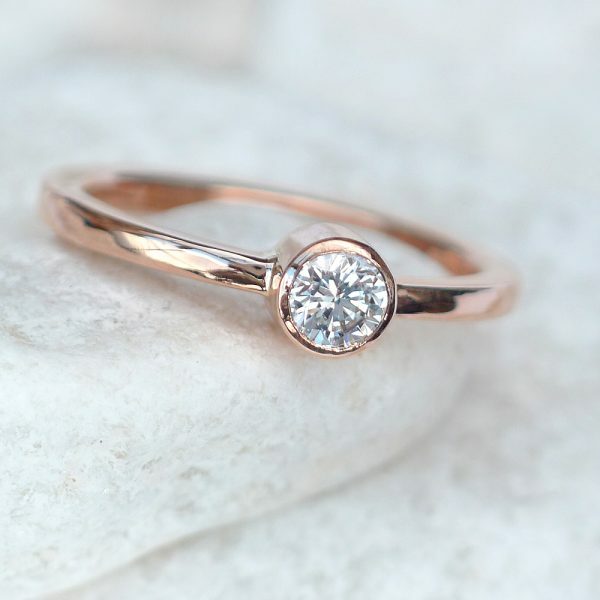 You can choose to have a ring made in your required size, from either 18ct white, rose or yellow gold or platinum. 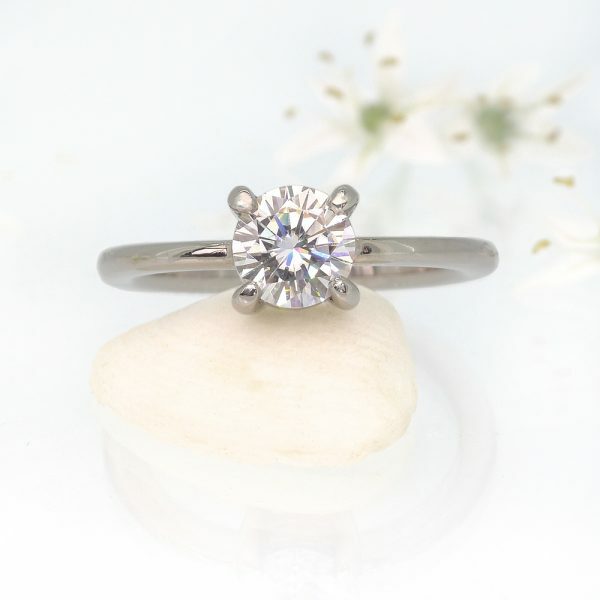 This design is also available for immediate dispatch in white gold, in size N (UK), 6 3/4 (US), 53.8mm (EU). 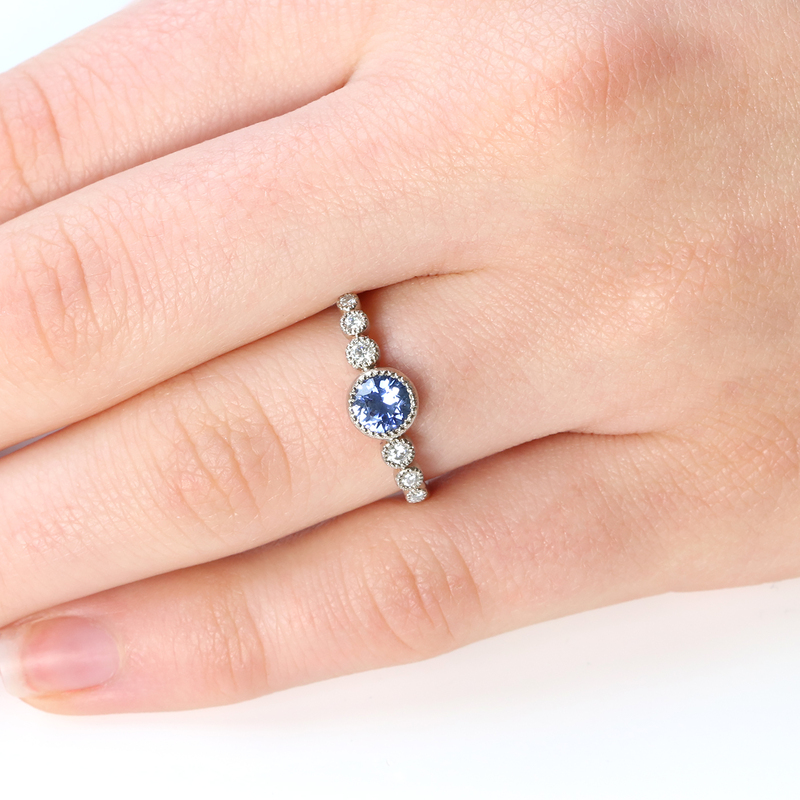 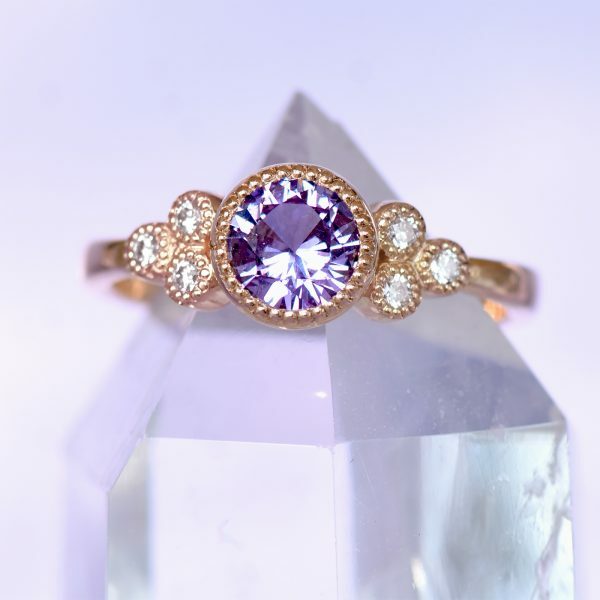 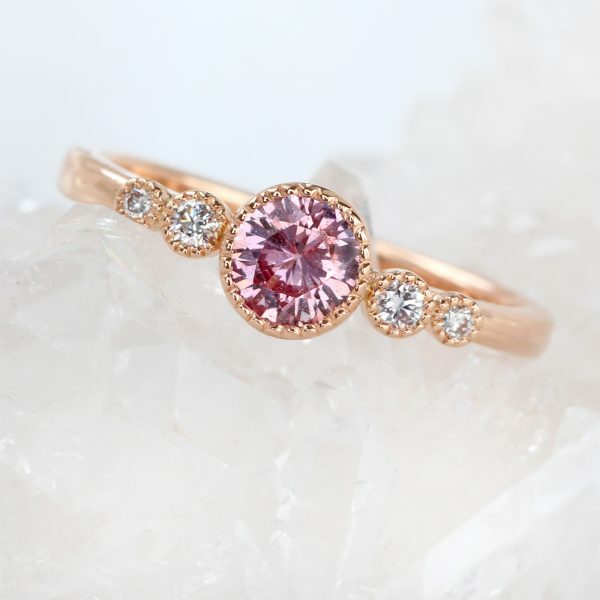 This design can be set with a different centre sapphire, all diamonds or other gemstones. 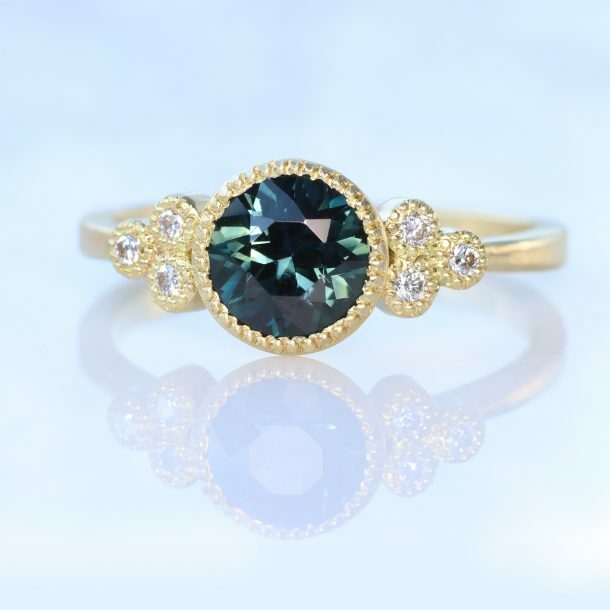 Please see our selection of gemstones here, or enquire.